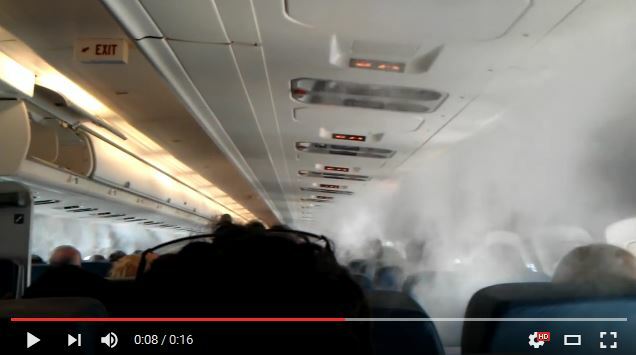 What is this white smoke like thing, seen inside the cabin before takeoff? Video Please watch in HD to best notice the phenomenon. It seems to be coming from the AC vents of aircraft. I think it's a quite common phenomenon as the cabin crew didn't even pay any attention to this. But I saw it for the first time. What is this? The cabin was filled with unconditioned air from the outside, warm and nearly saturated in water vapor, and the dew point (see below) was close to the ambient temperature. 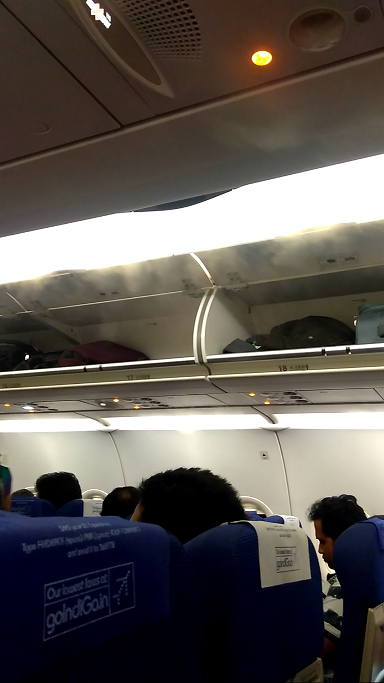 The injection of colder conditioned air in the cabin decreased the temperature around the AC vents below the dew point causing invisible water vapor (gas) condensation in visible water droplets (liquid). Because the temperature was decreased only around the AC vents, the water droplets are nearly immediately re-evaporated in warmer air into water vapor. Cabin air with its high level of water vapor will be circulated into the air conditioning system, and the water separators will remove most of the water from air before it is returning to the cabin. As pointed out by @JanHudec the humidity level will be kept low during the rest of the flight, removing the possibility of condensation. The branch of physics which studies how liquids and solids boil or condense is named psychrometrics, it revolves around the notion of equilibrium vapor pressure, but for us mere mortals, the notion of dew point is more practical. Why does water vapor condense? The quantity of water vapor in air is named water saturation ratio (or relative humidity) and is expressed as a percentage. 0% means air is dry, 100% means air is fully saturated and cannot contain more water vapor. If vapor is added then it immediately condenses into water droplets. Contrary to water vapor, water droplets are visible. Saturation occurs at certain combinations of temperature and pressure. For a given pressure, the higher the temperature, the larger the quantity of vapor than can be present without condensation. So condensation can occur when the temperature decreases. For sake of accuracy: When water vapor is present in air, it is continuously condensed and evaporated. The dew point is the point where condensation occurs at a greater rate than evaporation and water droplets start accumulating. Pressure, dry and wet temperatures, dew point and relative humidity are linked by the mean of vapor pressure. By knowing three elements, the two other can be determined. 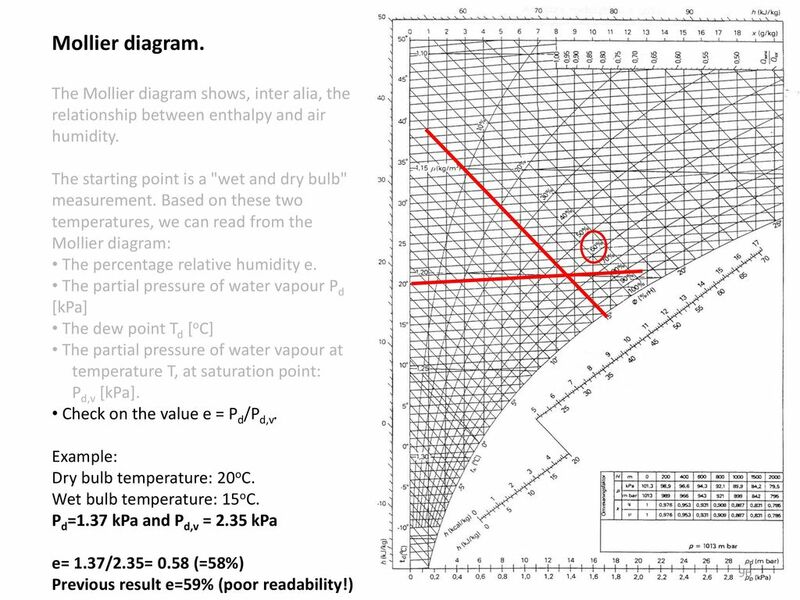 So knowing pressure, dry temperature and wet temperature allows to determine the dew point. 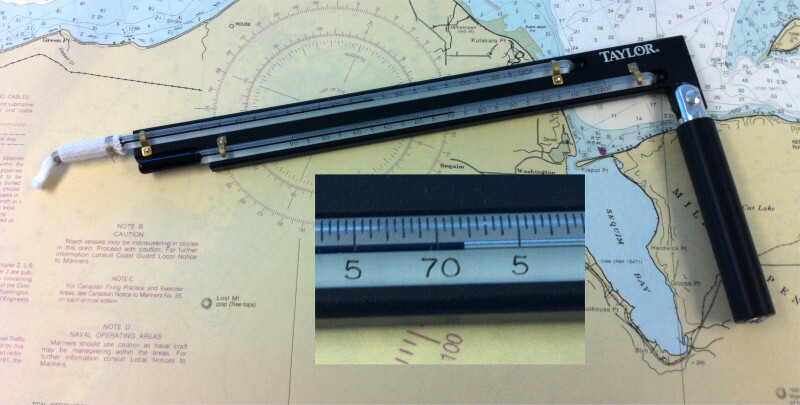 It exists precalculated charts (Mollier diagrams) to read dew point directly. There are also online calculators. As indicated when the dew point is close to the temperature, the humidity percentage is high, and the visibility low, with fog occurring. AC is provided by a system that usually takes high pressure air from the engines, mixes it with air taken from the cabin, and control the temperature and moisture (and pressure as part of the pressurization function) before injecting it in the cabin. Moisture is controlled by condensing water vapor and removing it by centrifugal force. For a full description see ECS for Boeing and ACS for Airbus. Relative humidity value in cabin is kept about 20%. The airport weather is 28°C and 85% humidity. Cabin air is assumed to be in these conditions before the AC is switched on and starts conditioning air at 20°C and 20% humidity. Relative humidity value must be decreased from 85% to 20%. Air must be cooled from 28°C to 20°C, cooling decreases the water vapor capacity. From the curve above, saturated air contains 27g of water vapor per kg of air at 28°C, and 17g at 20°C. When air is cooled at 20°C, 6g/kg are condensed into water droplets. When the relative humidity is lowered to 20%, the water vapor capacity is decreased to 3.4 g/kg and 13.6 additional grams are condensed. Most of the condensation happens in the AC system and the water is collected by the water separator. Before the cabin is initially cooled, air from the AC system meets the warm and nearly saturated air of the cabin. This triggers condensation in the cabin around the AC outlets. But most of the water evaporates again at some distance and vapor will eventually be collected by the water separators. Frost around the freezer pipes: Air with water vapor enter the fridge when the door is open. When air starts to be cooled below the dew point by the pipes, condensation occurs and ice forms around them. Air exhaled when the weather is cold. Air in our lungs is not saturated due to the high body temperature, but becomes saturated when it starts cooling. Air saturated by water vapor coming from a pressure cooker. As pointed out by @RyanMortensen, saturated air on car windows (when the temperature decreases during the night, or when air is saturated without temperature change, because there is more water/rain in the air that can be evaporated naturally -- Increasing car temperature above the dew point is the solution). Fog and clouds formation: Fog because the ground is colder than the surrounding atmosphere (early in the morning), cloud because air is cooled below the dew point while it climbs (pressure and suddenness play also a role). It's condensed water droplets. Outside air with high humidity is reduced in temperature from 28 - 20 ºC (after going through a compression - cooling - expansion cycle), and some of the water vapour condenses since colder air cannot contain as much water vapour as warmer air. The condenser is located before the expansion turbine. Indeed like @David Richerby says in a comment: it's a cloud forming inside your plane. A home air conditioner has a compression - cooling - expansion cycle as well, yet this white cloud never appears at home. Home air conditioners cool the air to a temperature lower than final temperature, condense the water out, then heat to the final temperature so that outflow relative humidity < 100%. Aircraft A/C systems are not dimensioned for this, since the phenomenon only occurs in some airports, during ground handling and taxi. As soon as the outside air temperature is less than 20ºC the clouds cannot appear within the aircraft. For a brief moment an answer that was a question and should have been a comment appeared: why do the droplets not condense, and why don't they feel wet when you put your hand in. Because there is not enough time for all of that: the water is blown into air that is warmer and has a lower humidity than 100%, and dissolves again. Water condenses on a surface when the dissolved water vapour meets a surface that is colder, cools the air locally, and provides opportunity for the water molecules to find each other and congregate into condensation drops. Not the answer you're looking for? Browse other questions tagged aircraft-design cabin-design cabin or ask your own question. 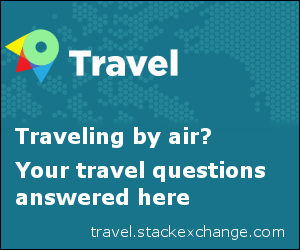 Why is air mixed with bypass air on the A/C of an aircraft? What is the reason for different engine configurations seen on Solar Impulse? Could the cabin crew open the lavatory door from outside when someone locked the door from the inside? What is this thing on the engine of a Cessna 500 Citation I? What is the viability of stacking passengers in an airplane cabin? Who invented the cabin chime? What aircraft was the first to use it? What is the meaning of the triangular markings in the A320 cabin? How many layers do the Boeing 787 cabin windows have and what might make them fail? What are these light like panels on the overhead bins of Boeing 737? What's this red cabin light indicator inside a Boeing 737? What is this “No Hand Hold” thing in the P-51 Mustang cockpit?